Found one file extension association related to Writing With Symbols and 1 file format developed specifically for use with Writing With Symbols. Writing with Symbols has been discontinued and is replaced by the Communicate: Series. There are two programs which cover all of WWS' features. 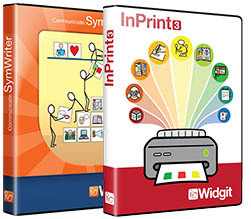 Communicate:SymWriter (CSW) which is a simple word processor with the support of symbols and on screen send grids and Communicate:In Print (CIP) a desktop publisher for creating dynamic printed materials. The Writing With Symbols software seems to be old or discontinued. If you need more information please contact the developers of Writing With Symbols (Widgit Software), or check out their product website.